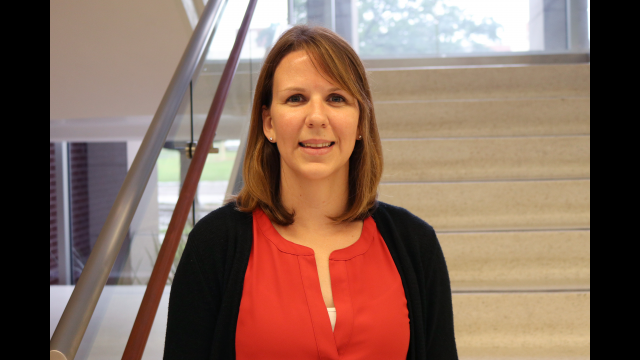 Erin Dixon, Ph.D., visiting lecturer in science education in the department of curriculum & instruction in Baylor�s School of Education. WACO, Texas (Nov. 10, 2016) – The School Science and Mathematics Association (SSMA) honored Erin Dixon, Ph.D., visiting lecturer in science education in the department of curriculum & instruction in Baylor’s School of Education, with a national award for her outstanding dissertation. Dixon’s work compared two methods of science instruction: inquiry teaching and direct teaching. Dixon credits her enjoyment of teaching for setting her on the path toward an award-winning dissertation. “Part of why I started the Ph.D. program was because I wanted to learn the best ways for teaching science,” said Dixon, who graduated in August of 2015. The SSMA Dissertation Award recognizes exceptional doctoral degree research in the fields of science education, mathematics education or integrated science and mathematics education. While a non-member of SSMA is eligible for the award, a member must nominate them. Suzanne Nesmith, Ph.D., associate professor and associate dean for undergraduate education in Baylor’s School of Education, nominated Dixon. Teaching was not always the direction Dixon saw her life headed. She graduated from Baylor with an undergraduate degree in nutrition and worked as a dietician for several years. However, Dixon decided the field of nutrition was not a career she wanted to continue, so she enrolled in the Baylor’s School of Education for a 14-month master’s and teacher-certification program and graduated in 2008. While in the program, Dixon taught science classes at West High School, and she continued teaching there for five years. It was during her teaching experience at West High School that Dixon noticed a lack of engagement from students. She began to research teaching methods and learned about inquiry teaching — a science education method where teachers guide students through hands-on learning with experiments, followed by explanations of definitions and concepts. 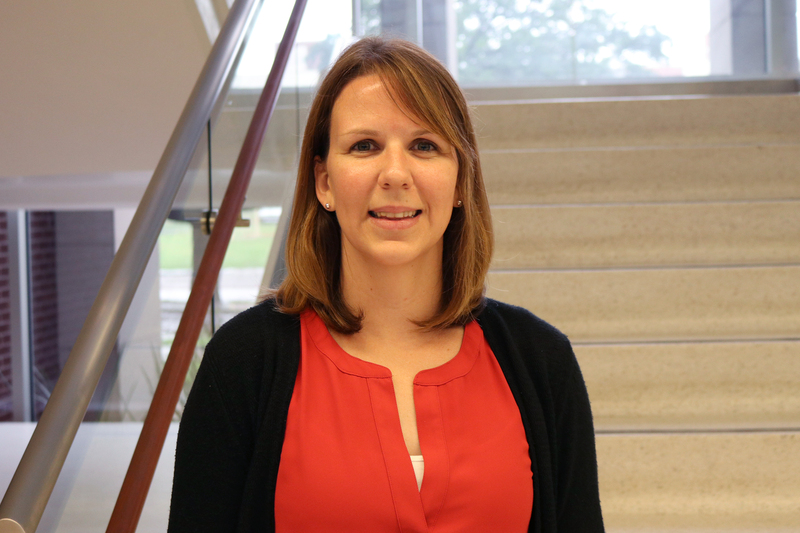 Dixon realized she was not using an inquiry method, and she wanted to learn more about teaching science by pursuing a Ph.D. from Baylor’s School of Education. Dixon learned that, while science education experts regard inquiry as the best form of teaching, teachers typically teach by a direct method —where students learn concepts from Power Points and class instruction with experiments tagged onto the end of a lesson. Dixon realized the startling academic differences between inquiry and direct teaching methods. Dixon’s passion for teaching in general evolved into a passion for specifically inquiry-based instruction. Choosing the comparison of teaching methods for her dissertation was an easy decision. As with her master’s program, Dixon taught at least part-time throughout her entire doctorate program. This allowed her to research the two teaching methods with her own ninth-grade students at Rapoport Academy High School. Before a two-week unit about diffusion and osmosis, Dixon gave four different classes two pre-tests — one test was multiple-choice and the other was an open-ended essay question. Dixon then taught two classes through inquiry instruction and two classes through direct instruction. All four classes took the same pre-tests as post-tests after completing the unit. Dixon’s dissertation expanded upon her research and the implications of her experiment. Following the completion of her dissertation in the summer of 2015, Dixon now advocates for inquiry teaching to be implemented more in schools. Dixon is also teaching her first full-time semester in School of Education at Baylor. She helps prepare teachers for teaching science in schools and supervises pre-service teachers. While Dixon misses teaching high school, she said higher education incorporates her passion for studying and preparing the next generation of science teachers.